A Bus and a Slide. On the Roof. 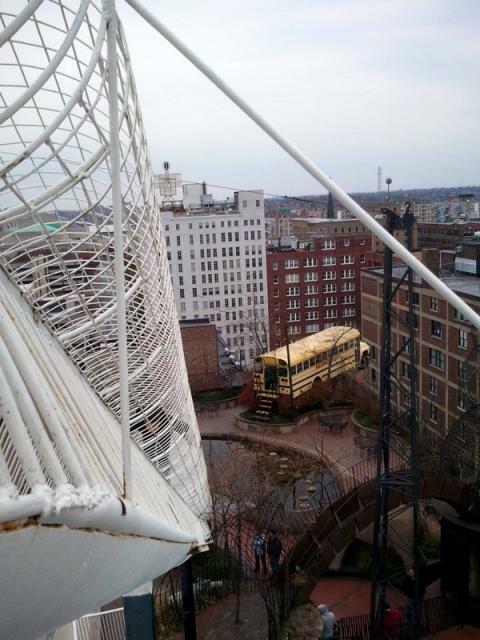 : How cool is it to be wandering around downtown St. Louis and happen upon a bus on a roof? 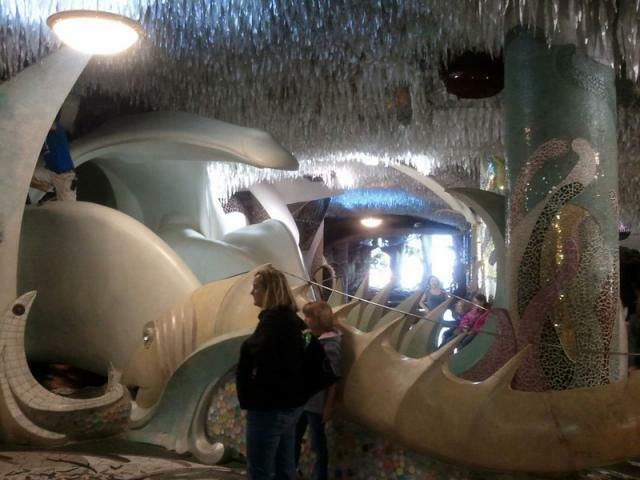 In the process, the City Museum has created an authentic and unique urban experience that has been no small part of the revitalization of the surrounding city blocks. It is gritty not just because of the uniqueness of the idea, but also because of how it was (and continues to be) created. AAAAARRRGH! I'm Being Eaten by ART! : It doesn't get any grittier than that. This is art intended to be interacted with - it is gritty and people LOVE it, dammit! 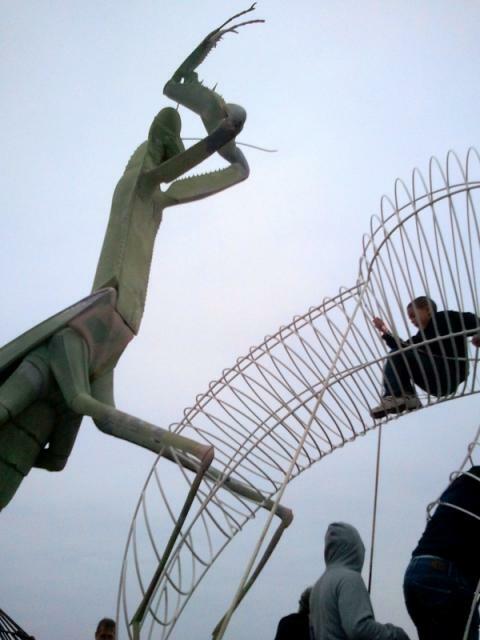 Sure people visit the Papajohn sculpture park, but they don't stay. It's maybe an hour at the most to fully experience the space. Pappajohn Sculpture Park: Don't TOUCH me! What if, instead of disembodied recordings warning people to "step back", people were encouraged to interact with the art? 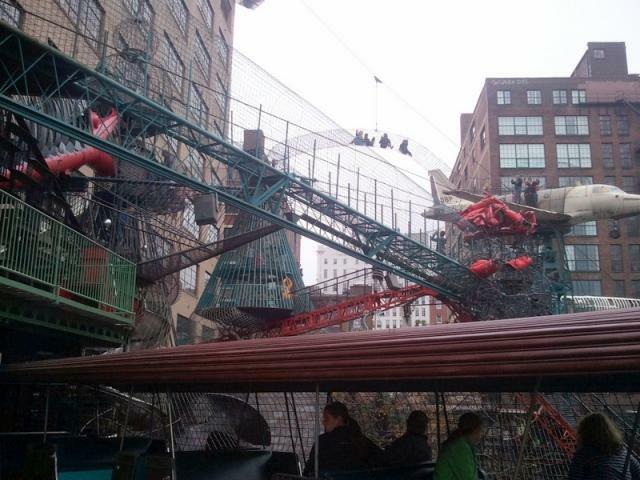 What if it were designed to be climbed on and explored - a full city block of fun? I guarantee that people would spend the whole darn day downtown... this is the kind of experience that generates collateral development.